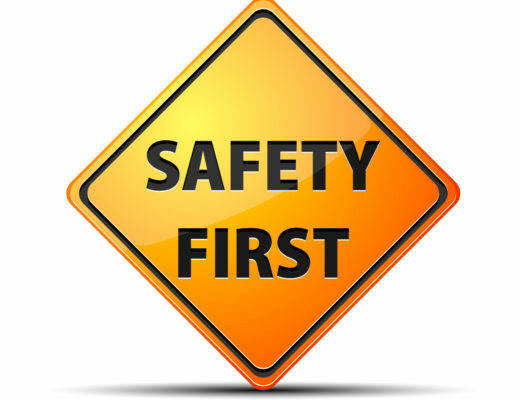 Top 10 Outdoor Safety Tips Everyone Should Know – If you are planning on heading outdoors and into the wild – make sure you plan your trips and don’t forget these useful tips for taking proper precautions and getting to know your limits. Underestimate yourself. You really aren’t Bear Grylls – so don’t think you’ll be able to do what he does. Be conservative in your estimation of your outdoor skills! Learn first aid. You never know what might happen – so rather be prepared and do a first aid course. Make plans and stick to them. Don’t take risks. If you tell someone where you’re going – go there! Check the weather before you go. It’s all part of planning – if you know what the weather is supposed to do – you are giving yourself ammunition to plan properly and take the necessary precautions. Read the manual… if you are going to be using electronic equipment – make sure you know exactly how it works before you go – don’t just assume you’ll be able to figure it out! If you are using gadgets – make sure they’ll be able to work where you’re going. Just because your iphone is loaded with weather aps, compass aps, GPS and other features – don’t mean you’re going to have a good enough signal for them to actually be any good where you’re going. Just check first! Tell people where you are going and when you’ll be back. It may help so that they know when to send out the search party! Watch out for bugs. You are likely to get bitten by a tick or a mosquito while in the wild. Use repellents and check yourself for ticks. If you’re going into a malaria area – make sure you have taken anti-malaria tablets for the prescribed time before entering the area. Use safety gear appropriate to what you are doing. Know the risks and prepare for the worst. Pack wisely. Whatever you’re doing – make sure you take the appropriate gear with you before you go! What do you think of Top 10 Outdoor Safety Tips?